One the first things we learn in our Photonic Heath training is to perform an assessment to trouble shoot the location of the animal's pain or problem. If you are a Photonic Health user, the first thing you should consider before red lighting your pet, is doing an assessment, a step that is often overlooked. An assessment is a vital part of the success of the Photonic Light session. Why is this so important? When our loved ones , both furry and not so furry don’t look or feel well, instinctive nature kicks in. We do what we know to fix them-to help them feel better. We do this in a variety of ways. Usually our first hurdle is to determine what the core problem is, then we troubleshoot from there. Our not so furry loved ones can verbalize what hurts or what is bothering them, which provides us valuable information that allows us to nurse them back to health. Where as our furry loved ones only have a limited ability to communicate with us. When a horse bucks, pins it’s ears back, kicks out when the farrier is trimming him, or flinches when we brush him, (this applies to dogs, cats, cows, goats, ect.) we sometimes discard this as the them being crabby, sassy, mean, or disrespectful. But is that really the truth? If you have a pet that does any of these, it is important to delve further into the root cause of the behavior-what is he trying to tell us that he cannot verbalize. This is where your assessment will come into play. It will allow you to identify areas of concern you may have not known existed otherwise. Listed below is the video link giving basic instruction on how to preform an assessment on both the horse and dog. These will apply to all four legged creatures. 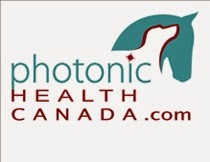 Here are a couple of videos from Photonic Health explaining how to assess your pets prior to red lighting.